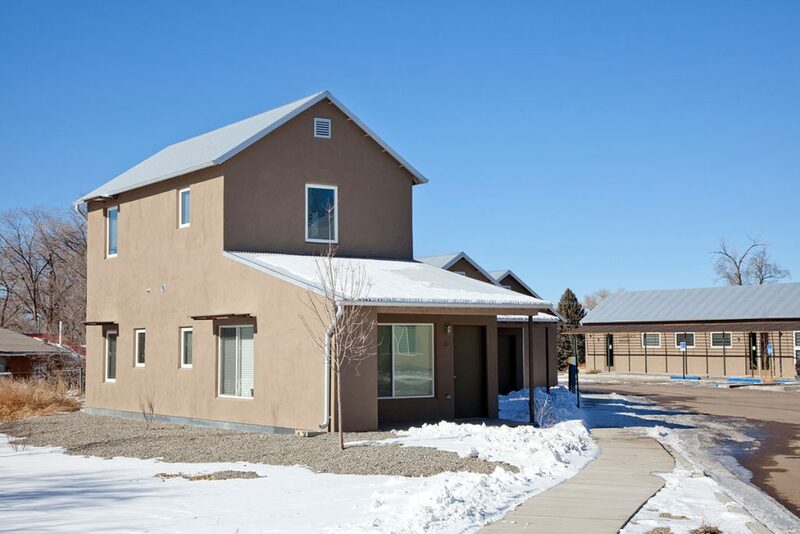 Taos Haus + 6, completed in 2013 on two parcels, include a newly constructed community building, 24 single-family detached homes, and 6 apartments in a rehabilitated 3-story building. All the residences are affordable to low-income households. The single-family homes are elegant forms that include 6 three-bedroom units and 18 two-bedroom units. Livable space in the apartments and houses ranges from 1,050 square feet for 2-bedroom units to 1,260 square feet for 3-bedroom units. 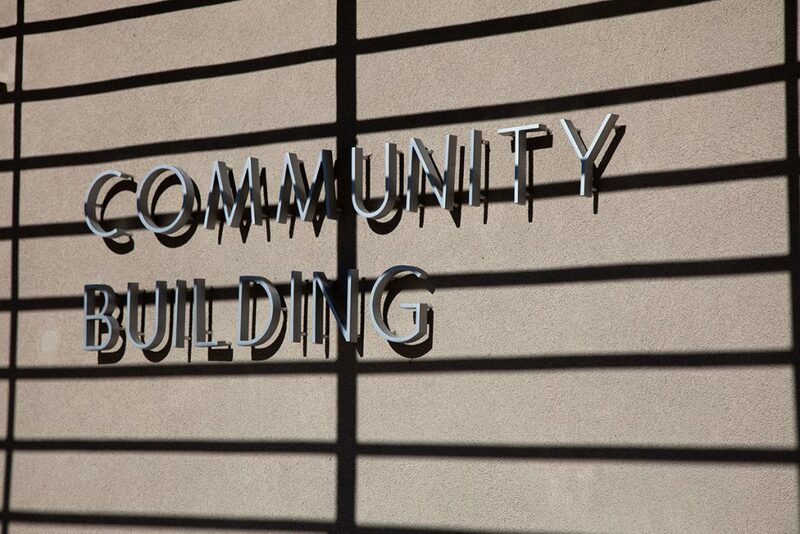 The development’s community building features a kitchen and a laundry facility as well as space for support services. This multifamily residential development is a LEED for Homes- Platinum Certified 30-unit affordable family community. The project utilizes passive solar orientation for 100% of new construction. The 24 units of detached single family and 6 Units of rehabilitation utilize rainwater harvesting and permeable parking area surfaces to enhance and provide community gardens. The development received Leadership in Energy and Environmental Design (LEED) for Homes Platinum certification for features that reduce energy and water consumption, the use of sustainable building materials, and the project’s infill location. Energy consumption is reduced by high insulation values and an air-tight building envelope, which reduces energy consumption by more than 70 percent. All units include Low E insulated windows; walls with blown-in insulation; ENERGY STAR® appliances; high-efficiency tank-less water heaters; high efficiency heating, ventilation and air conditioning and energy-efficient LED lighting. The solar orientation of the new construction decreased the energy required for heating and cooling as well. The solar orientation, combined with sun shades on the south-facing windows, reduces solar heat gain in the buildings during the summer. The development conserves water through a plumbing system that uses very high-efficiency fixtures and fittings. More than 90 percent of the site’s landscaping consists of indigenous, drought-tolerant plants. The irrigation system relies on harvested rainwater, drip hoses and moisture sensors to further reduce water use. 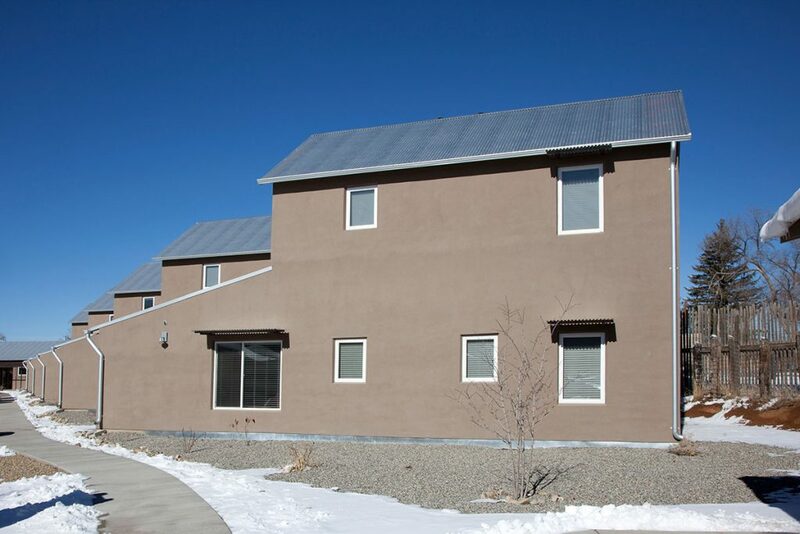 The site location of Taos Haus + 6 also contributed to the development’s LEED Platinum certification. The development is located on Paseo Del Pueblo Sur, one of Taos’s main roads. 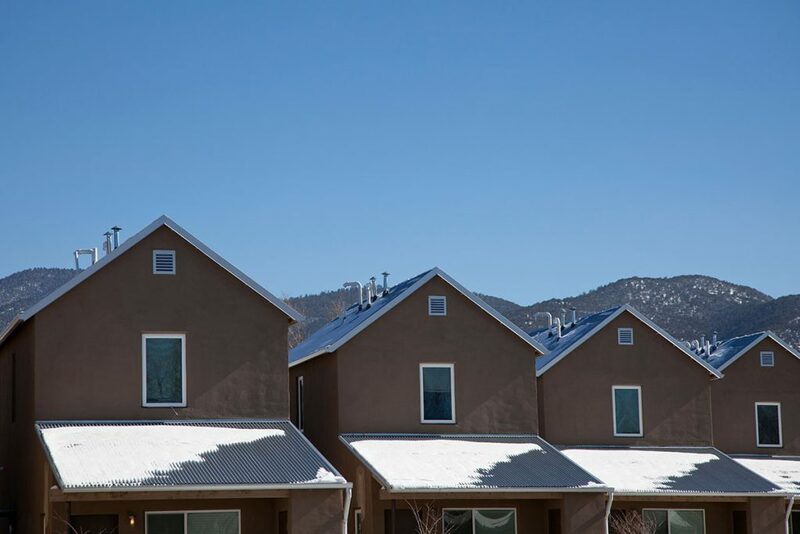 The infill development is within walking distance to Taos High School, a shopping center with grocery store, and is a short bus ride from Taos’s historic downtown plaza.